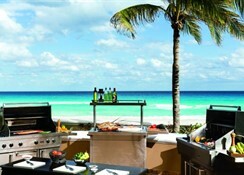 Experience a dream-like vacation with enhanced Mexican hospitality at the Ritz Carlton Cancun. 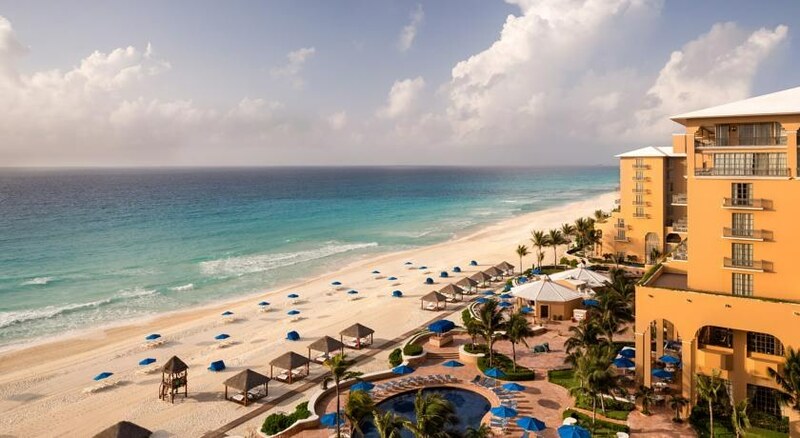 Overlooking the Caribbean Sea, the hotel stretches alongside one of the most spectacular beaches in Mexico. Here you will be experiencing the best in comfort and fun, as the resort exemplifies the pulsating charm of this beach town, while facilitating prudently curated activities and luxury amenities. 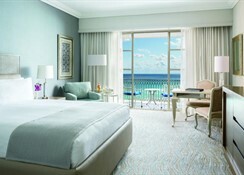 The guest rooms are spacious with marble bathrooms and provide splendid views of the Caribbean Sea. The resort features nine dining outlets that have different settings, where you can enjoy Mexican, Japanese and many other specialties, while enjoying the views of the beach and the pool. The hotel enjoys a beach-front location, making it the first choice for the beach lovers. It is nestled in Mexico’s northern region in Yucatan Peninsula, making it one of the top destinations in the Caribbean for food, fun and much more. The astonishing places of interest like Chichen-Itza, Coba, Tulum and many other are close to the hotel. The Cancun International Airport is about 17km from the resort, making it convenient for the guest to board their flights on time. The suites and guestrooms in this hotel showcase modern décor alongside traditional Mexican accents. Each accommodation has its own uniqueness featuring a balcony overlooking the sun, sand and the sea. 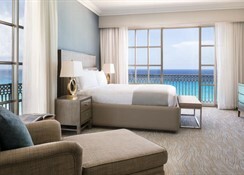 The rooms in this hotel are categorized as Ocean View Room, Ocean Front Room, Club Ocean View Room and Club Ocean Front Room. 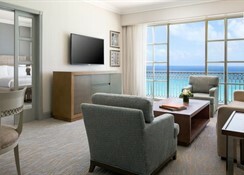 The suites in this hotel are categorized as Ocean View Suite, Ocean Front Suite, Club Ocean View Suite, Club Ocean Front Suite, Club Master Suite, Clobal Residential Suite and Ritz Carlton Suite. Those who are seeking for the best can go for The Ritz Carlton Club Level, which has added measures of luxury, distinctive amenities and constant culinary offerings. 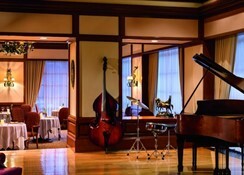 The Ritz Carlton’s restaurants go beyond the Mexican borders and offer cuisines from across the world. Alongside local seafood and Mexican tequila, you can also have sushi and Mediterranean dishes. 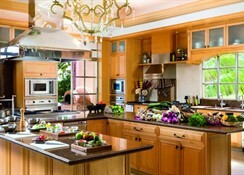 You also have the opportunity to explore other cuisines that the resort's chefs have to offer. The restaurants and bars here include Fantino, The Club Grill, Casitas, Sushi Bar, El Café Mexicano, D-Lounge and The Caribe Bar & Grill. The Ritz Carlton Cancun has ample sports and leisure facilities to keep the guests engaged. There is an outdoor swimming pool, where the guests can take a dip and relax on the sun loungers spread across the pool, while sipping on refreshing drinks. For ultimate pleasure and relaxation head to the hotel’s spa and wellness centre, where you can enjoy multiple massages and beauty treatments. It will be an exciting stay for golf lovers, as the Cancun Golf Club is within ten kilometres from the resort. The Puerto Cancun Golf Club, another beautiful golf course is about 15km from the resort.